We’re not sure about the rest of you, but at least for Lindz and I, the highlight and focus for WonderCon this past weekend was checking out the Her Universe panel to get the latest details on this year’s Fashion Show, as well as get exclusive sneak peeks at their new Marvel line. It was a panel that far exceeded our wildest expectations and we’re here to spill the details! Jumping to the Marvel line first, which was designed by last year’s Fashion Show winners (Amy Beth Christenson and Andrew MacLaine), we sadly cannot share any images of what was revealed at the panel. But once the line has been officially revealed by Her Universe, you can bet we’ll be posting all about it! What we will say about it, though, is that it is everything in the world of geek girl fashion we’d like to see exist – flattering, stylish, and oh so geeky. You will not be disappointed! The collection will be available for pre-order April 21st, and will be available in Hot Topic stores May 12th. Price point for the new pieces will range from $40-85. Advice from Ashley herself: if you see something you like, buy it! It’s a certainty that this collection will sell out, but there’s no guarantee Hot Topic will reorder more once it does. Design submissions for the 2015 Her Universe Fashion Show at San Diego Comic Con open April 8th. You’ll have two weeks to submit your designs, then finalists will be selected by the end of the month. 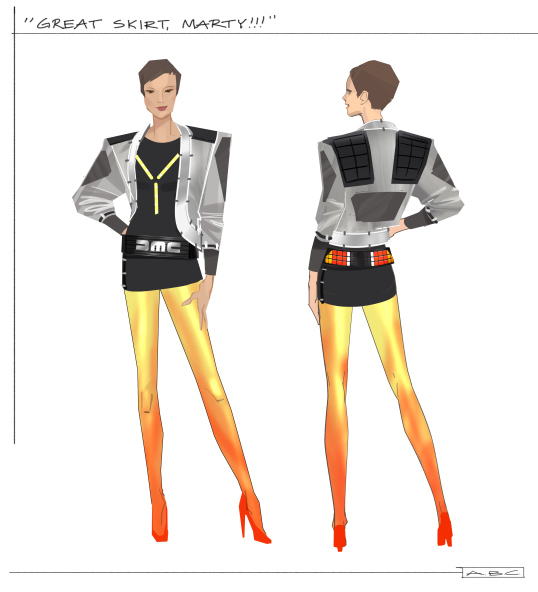 As with last year’s show, you can submit up to 3 designs for the Her Universe/Hot Topic team to choose from. There will be 25 designers chosen as finalists, as opposed to the 36 that were selected last year. Does this make the odds of being selected even slimmer? Of course. But it’s also for the best, as anyone who attended or participated in last year’s shows knows it was just a wee bit too long. Design advice of note from the Her Universe/Hot Topic team that we’d like to highlight: Creativity, and DETAILS. Amy Beth Christenson’s attention to detail is what clinched her win with the judges for her “Great Skirt, Marty!” design inspired by Back to the Future. They were impressed at how her design went all the way to include a themed clutch. We will update this post or make new posts once Her Universe makes their own official announcement with details for this year’s show. In the meantime, get to designing, and best of luck!